the rehoming centre for Perry Barr Retired Greyhound Trust. As well as supporting the Trust dogs in foster homes , we strive to provide the best care possible for the greyhounds at Daybreaks Kennels waiting to find a home. This is only achievable with the generosity of our supporters. Together we are changing lives, thank you so much for your support. By PhoneCall us 0121 782 7702. Every day 10am to 4pm. Need greyhound cards or calendars? Check out our shop. We'd absolutely love to see you at our Daybreaks fundraisers. And so would the dogs. 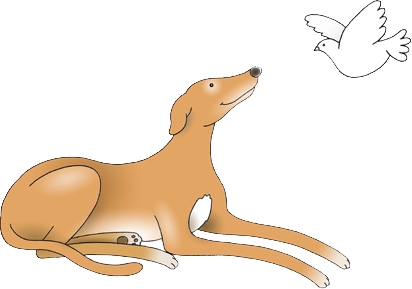 You can see our entire list of events, roadshows and fundraisers on our amazing RGT Perry Barr website. 'Daybreaks Beauty' was the racing name of my very first Greyhound, Tara, who I adopted from Birmingham Dogs Home in January 2001. Realising Tara was an ex-racing greyhound, I researched and found out more about what happens to greyhounds and wanted to help more like her. 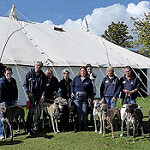 I found a small group of greyhound friends, and we helped form Perry Barr Retired Greyhound Trust (PBRGT) in March 2003, and we rehomed greyhounds with the help of a trainer's kennels. Sadly the arrangement with the trainer came to an end in 2005 and in desperation to find a new rehoming centre, I packed in my job as a medical secretary and on Saturday 1st July 2006 I opened Daybreaks Kennels - aptly named after Tara, after all, she started my love for greyhounds. My precious Tara lost her battle with bone cancer on 27th May 2007. My world fell apart however I needed to still do more, so I set up a new charity called Daybreaks Trust. The money generated from this Trust goes directly to helping Daybreaks improve and continue, especially with essential maintenance, and help the foster dogs in our care. Perry Barr Retired Greyhound Trust, which is a branch of a national charity, and Daybreaks Trust work hand-in-hand. 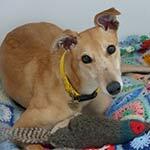 Both Trusts are fully committed to helping the greys we are lucky enough to meet. Daybreaks Trust is a registered charity, number 1142270 Registered office 119 Queens Road, Yardley, Birmingham B26 2AS. © 2010-13. All rights reserved.